Kratom Journal provides helpful and enjoyable articles about the wonder herb called Kratom. There had been many misconceptions about Mitragyna Speciosa, and some of our articles were also written to clarify those fallacies. With so many people still ill-informed on Kratom, our team aims to make this blog page a refuge for Kratom users as well as a treasure chest of knowledge for those who are thinking about using it. We offer tons of reliable information on this subject. We discuss the basics of Kratom, such as its health benefits and effects. We also talk about its different strains from the Green Vein Thai Kratom to the Red Borneo Kratom. Kratom Journal also publishes articles that talks about personal experiences of some Kratom users, like how taking Kratom helped them and from which vendors they got their products from. Some have also written about the positive effects of Kratom, such as energy boost, cognitive development, runny nose reduction, and sedation. 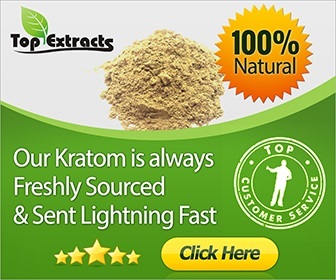 We also published extensive reviews of some of the most well-known Kratom products and vendors, so that you will have a clearer picture of the industry. If you are a first-time user, you can further dive into the world of Kratom by reading these articles. Trust that all of them were written with utmost care and accuracy in mind as we want to give our readers reliable articles that count.